GENEVA: The United Nations (UN) human rights chief on Thursday called for a major investigation into abuses in Kashmir, as his office released its first-ever report on alleged rights violations committed by both India and Pakistan in the disputed territory. The report, which the UN said was the first-of-its-kind for Kashmir, highlights “chronic impunity for violations committed by security forces”, the rights of office said in a press release. 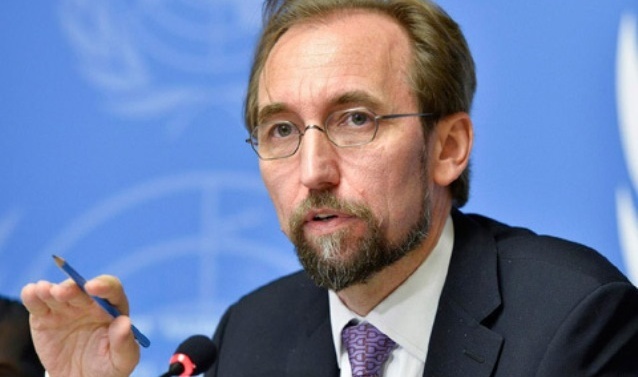 The report said that Zeid met with representatives of both governments following an upsurge of violence in July 2016, triggered by India’s killing of 22-year-old Hizbul Mujahideen commander Burhan Wani. Turning to Azad Jammu and Kashmir (AJK), the report identifies “a range of human rights abuses”, but notes they “are of a different calibre or magnitude and of a more structural nature”. Pakistan should “end the misuse of anti-terror legislation to persecute those engaging in peaceful political and civil activities and those who express dissent,” the UN said.